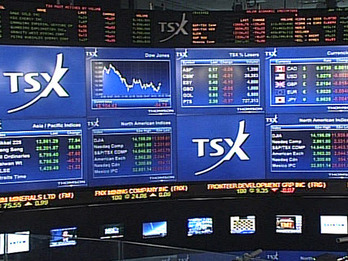 SP TSX60 Index: At Crossroads ? as you can observe on the first chart below. 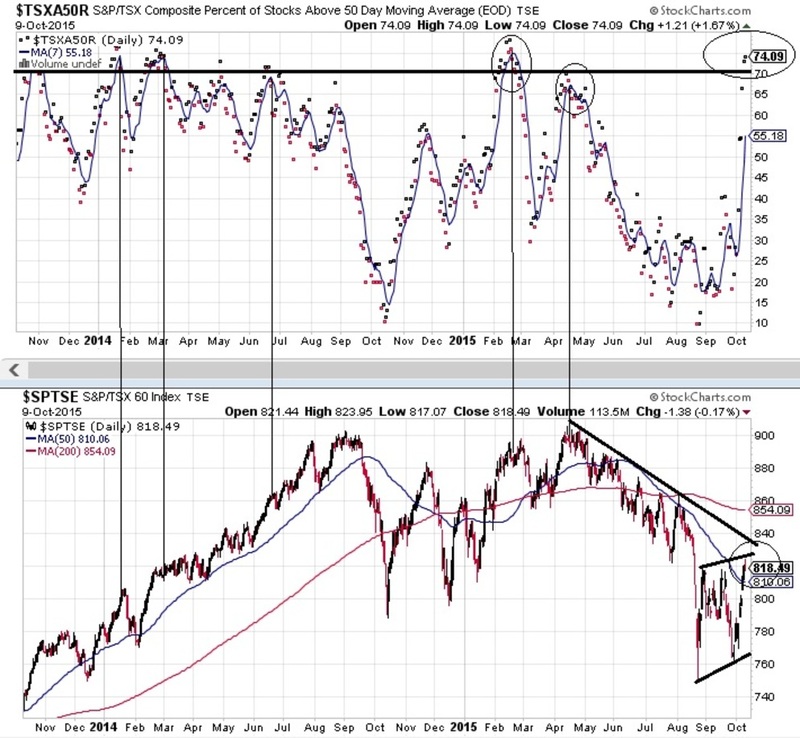 But getting over the 70 treshold on that Indicator ( now at 74.09 - ​Thick horizontal line - chart below ) have been in the past a first warning sign ​of overbought conditions building up. ​​Also observe the divergence pattern between the SP TSX60 Composite Percent of Stocks ​above the 50 DMA and the TSX Composite Index ; Almost reached the highest ever on the Indicator and the TSX60 did not even break the Major Resistance Trendline that started back in April 2015. ​( See 3rd Chart - Thin Black Line - Ellipse​​ ).